Amy has a very good reflection today on the Solemnity of Saints Peter and Paul, the palli, and liturgy, all in one! By a happy coincidence of dates, today we celebrate the Solemnity of Saints Peter and Paul. At the same time, we celebrate today the opening of the great Jubilee Year proclaimed by the Holy Father and dedicated to Saint Paul as we commemorate the two thousandth anniversary of his birth. These two Apostles, Peter and Paul, are inseparably united one to the other because of the common mission which they share. The Church of Christ is unthinkable without either of these two Apostles, so great is their contribution to the Church. We must ask ourselves what these two Apostles want to teach us today, here and now. Our celebration here is not a matter of simply recalling some past event or some historical personality. It is, rather, an encounter with the Triune God, guided and accompanied by the Apostles, the Saints, and the choirs of angels. In this passage from the Acts of the Apostles, we learn of Saint Peter’s sole possession. 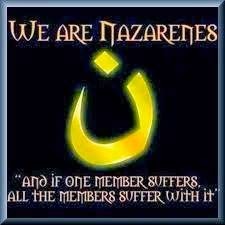 “I have neither gold nor silver,” he said to the crippled beggar, “but what I do have I give you: in the name of Jesus the Nazarene, rise and walk” (Acts 3:6). Peter’s only possession is Jesus Christ, but this gift is not his to keep to himself but to give freely to others. Turning to Saint Paul, we know that when he was on his way to the city of Damascus in Syria, he encountered the Lord Jesus, who said to him, “Why do you persecute me?” Seeing nothing but a blinding light and not recognizing the voice, Paul said, “Who are you, sir?” “I am Jesus whom you are persecuting,” came the reply (Acts 9:4-5). In this encounter with the Risen Lord, Paul understood that the Church is truly the Body of Christ, so that in persecuting the Church he persecuted Christ. Paul came to see himself as a “slave of Jesus Christ” and he did what he was told to do by the Lord (Romans 1:1; cf. Acts 9:6). He was convinced that the Lord chose him, while he was still in his mother’s womb, to “proclaim him to the Gentiles” (Galatians 1:16). Is this not also how Peter saw himself, as a slave of Jesus Christ chosen by him? Is this not how we, too, are to see ourselves? Is this not what it means to say, “Lord, you know everything; you know that I love you” (John 21:17). As the Lord said to Peter and to Paul, so he says to each us, “Follow me” (John 21:19). In following him, both found true freedom, the freedom of the sons of God. They used their voices – Peter, an unlearned fisherman and Paul, a learned tentmaker but a poor speaker – to herald the Gospel to all of creation; and their message reaches us even today. In the end, both gave their lives for Christ in the city of Rome. Crucified upside down, Peter showed his humility in asking not to be executed in the same manner as his Lord. Beheaded by the sword, Paul showed that our true citizenship is not in this world, but in heaven (cf. Philippians 3:20). Thus these two Apostles teach us that our only true possession is Jesus Christ, and that our happiness and contentment will only be found in uniting ourselves completely to Christ in whatever way he should call us. When we look even briefly at the life of Saint Paul what strikes us particularly strongly is the great success of his missionary preaching. His three missionary journeys took him across the Roman Empire, establishing Churches as he went. What was it that made him such an effective preacher of the Gospel? It is not difficult to see that Paul’s tremendous success as a missionary “depended above all on his personal involvement in proclaiming the Gospel with total dedication to Christ; a dedication that feared neither risk, difficulty nor persecution.” It is the same with us. We must, then, ask ourselves: How devoted am I to Christ the Lord? Does the witness of my life demonstrate my belief in, and my love of, Jesus Christ? The Church’s action is credible and effective only to the extent to which those who belong to her are prepared to pay in person for their fidelity to Christ in every circumstance. When this readiness is lacking, the crucial argument of truth on which the Church herself depends is also absent. Looking to the example of the Apostles Peter and Paul – and to all of the Saints – we will learn how to live faithfully as disciples of the Lord, we learn how to be dedicated to him. There is yet one more question to consider today: when was the last time you read the letters of Saint Paul? Now is a perfect time to begin prayerfully reading and studying his letters. We cannot know Saint Paul if we do not read his writings. Please, do not waste this year of grace. Spend a little time each week with the letters of the Apostle; your time will be well spent as you grow in faith, hope and love. We know that statistics of our favorite sports team. We know what happens on our favorite television show. If we devote such time and know so much about these things that will pass away and amount to nothing, why should we not know the writings of Saint Paul? Dear brothers and sisters, today too Christ needs apostles ready to sacrifice themselves. He needs witnesses and martyrs like St. Paul. Paul, a former violent persecutor of Christians, when he fell to the ground dazzled by the divine light on the road to Damascus, did not hesitate to change sides to the Crucified One and followed him without second thoughts. He lived and worked for Christ, for him he suffered and died. How timely his example is today! In the end, we know that what motivated both Peter and Paul in all that they did was their love for Jesus Christ. In this year of grace, in this year of Saint Paul, each of us must ask: does my love for Jesus Christ motivate me? May the Apostle Paul – “who shines like a star of the brightest magnitude in the Church” – guide us forward and obtain this grace for each of us. Amen! 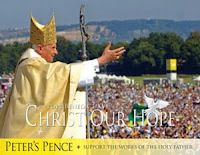 Pope Benedict XVI, Homily, 28 June 2007. Ibid., General Audience, 25 October 2006. Fr. Joel has a review of the movie WALL-E at Holy Priesthood. Two articles (and one box of "speculations") in this morning's edition of the St. Louis Post-Dispatch cover yesterday's appointment of Archbishop Raymond L. Burke as Prefect on the Supreme Tribunal of the Apostolic Signatura: "Burke leaving St. Louis" and "Reaction to Burke's departure." The coverage here and - to an even greater extent - elsewhere makes frequent mention of the "controversial" way - and even personality - of His Excellency. The so-called controversy surrounding several of the Archbishop's decisions is, of course, viewed as a negative thing and he is portrayed to be a "divisive" figure. "I respect that the archbishop stood up for what he believed in, and I'll miss him," said Helen Adam of Richmond Heights. "But I won't miss the controversy." We've heard similar things before about him other Bishops and priests, and it saddens me greatly. It saddens me not because controversy is caused or upset with the Archbishop (people will be upset regardless of what he does; something people are only happy when they aren't), but because so many of the faithful do not want their priest or Bishop taking a firm stand for the faith of the Church, the faith of Jesus Christ, the same faith handed on for two thousand years. It is a very sad day indeed - perhaps even a despicable day - when priests and Bishops are not expected by even a small number of the faithful to uphold the faith of the Church. Because the faith is not ours, not mine, neither we nor I can the faith. We can receive the faith - as did Saint Paul - and hand it on to others, just as we received it and not as we wish it was. When considering aspects of the faith we are considering aspects of life and death, in the most serious form: eternal. And for this reason a pastor - if who truly cares for the souls entrusted to him - must act when he sees his sheep being led astray. When a Bishop or priest finds himself in what the media terms a "controversy," I sincerely believe this to be a very good moment. Why? Because the media never terms it a "controversy" unless it concerns the true teaching of the Church being upheld. I sometimes wonder if every Bishop or priest shouldn't find himself in at least one controversy each week. We certainly know that too many Catholics do not view the faith of the Church as a unified whole and, as such, may be placing their souls in danger. 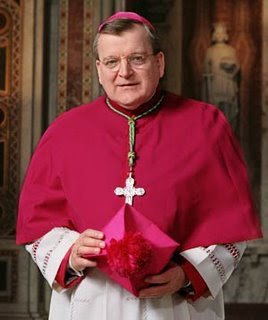 Pastors need to speak up more clearly - and even forcefully when need be, as Archbishop Burke has done - to see that the authentic faith of the Christ is presented without sugar coating, and exhort the faithful entrusted to their care to live their lives in conformity to the faith of Jesus Christ. When it comes to "divisions" in the Church, it is not the Archbishop who is divisive; rather, it is who those who dissent from the true faith of the Church who are divisive. His Excellency seeks not to divide but to restore unity to the Church by leading the stray sheep back into the fold. "People who don't know him think of him as an intimidating steamroller who's intent on having his way," Rolwes said. "But to spend five minutes with him is to know that he is a humble, loving and gentle man." I cannot recall ever personally meeting Archbishop Burke but I do know many who have met him, and all speak well of him (but that might be because my friends are not dissenters from the teaching of the Church). It simply goes to show that we cannot judge the character of a man based on the representation of him found in the media. 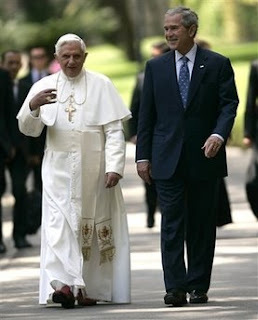 There is more to a man than the "style" of his celebration of the liturgy, his approach to serious pastoral "issues" and other things besides; there is more to a man than his office, and you can tell the character of man by how well he fulfills the duties of his office, without consideration for personal gain or loss. Just as you cannot judge a layman on his appearance, neither can you judge a Bishop, priest or deacon. 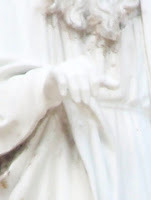 Who is Saint Irenaeus of Lyons? Prayerful congratulations are in order to the Most Reverend Raymond L. Burke, Archbishop of St. Louis (the so-called "Rome of the West"), whom the Holy Father Benedict XVI named today as Prefect of the Supreme Tribunal of the Apostolic Signatura (maybe he'll work on it's page on the web site of the Holy See). Keep the good Archbishop - soon to be Cardinal - in your prayers, and pray also for his successor to the See of St. Louis, whomever he might be. A Catholic Mom in Hawaii passes along information about the Aloha Spirit Youth Day being celebrated in Honolulu with pilgrims passing through Hawaii on their way to Sydney. If they’d have just a few days earlier I’d be there! Looking through a drawer, Fr. V. at Adam’s Ale found a prayer card with six rule for a Happy and Successful Friendship and Courtship. He also passes along some sage – and common sense – advice from a priest on dating and marrying. Sr. Mary Martha has a few worthwhile things to say about distractions in prayer. Amy reports that the Most Reverend Raymond Burke, Archbishop of St. Louis is indeed, as rumored, going to Rome as the Prefect of the Supreme Tribunal of the Apostolic Signatura. Being the great teacher that he is, I'm sure the Holy Father doesn't mind entertaining questions or a wide range of topics. In fact, given the many Q&A sessions he's hosted since ascending the Chair of Peter, we know he enjoys this. Who is Saint Cyril of Alexandria? In preparation for this coming weekend's celebration of the Solemnity of Saints Peter and Paul and the beginning of the Pauline Year, I have been looking at the statues of the two Apostles above the doors to our church. You might not have noticed them before; many haven't. I encourage to take a moment to look at the them the next time you're by the church. Now, I need your help. I know that the two statues were placed above the doors in August of 1893, but there is a further question that I have. Since I first came to this parish some five years ago I've often wondered if Saint Paul originally had his hand resting upon a sword. Actually, I'm certain that he did, but I can't find a photograph to prove it. It is very common in liturgical art for a martyr to carry the instrument of their death. Saint Paul was beheaded and, being a citizen of the Roman Empire, his execution was carried out by the sword. Thus, St. Paul is very often depicted holding a book in one hand representing the letters he wrote and a sword in the other. Does anyone know of a picture from days gone by gone in which St. Paul is visible in which a sword is visible? If someone knows that he did, indeed, have a sword at one time, do you know what became of it and when? Send out the word on this one, please! In looking over the homily that Pope Benedict XVI delivered to the Eucharistic Congress in Quebec from Rome, I'm particularly struck by his opening words: "Lord Cardinals." He then goes into the usual formality of greeting the various dignitaries present, making explicit mention of "the Lord Cardinal Marc Ouellet, Archbishop of Quebec, adn the Lord Cardinal Josef Tomko, special envoy for the congress." At least he greets them in this way in the text provided by Zenit. Strangely, though, the title of "Lord" is missing from the English version on the Holy See's web site, thought the title very clearly is present in the French and Italian version of the same homily. Personally, I'd be very happy if he did address them as "Lord Cardinals," but I also wouldn't mind living in a castle. The pharmaceutical giant, Pfizer, has decided to invest in adult stem cell research. This only makes sense, of course, since some seventy seventy advances have come from adult stem cell research and not a single advance from embryonic stem cell research. I wonder what's taken them so long? 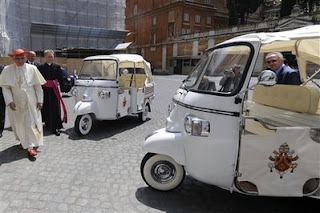 You don't suppose he'll take them for a spin inside the walls of Vatican City before bed, do you? This weekend, Holy Mother Church will take up a universal collection under the name of "Peter's Pence." This collection for the charitable giving of the Holy Father has a long history in the life of the Church and greatly contributes to the needs of the world. The Anglo-Saxon people, under the direction of King Alfred the Great (d. 899), as you might have guessed, began this annual collection in the ninth century, calling it Denarius Sancti Petri, the alms of Saint Peter. Other European peoples soon took up this collection, as well. We see from the earliest days of the Church the great care that Christians are to have for one another and, indeed, for their fellow man. At Antioch, “the disciples determined that, according to ability, each should send relief to the brothers who lived in Judea” who were soon to suffer famine (Acts 11:29). For Macedonia and Achaia have decided to make some contribution for the poor among the holy ones in Jerusalem; they decided to do it, and in fact they are indebted to them, for if the Gentiles have come to share in their spiritual blessings, they ought also to serve them in material blessings (Romans 15:26-27). Now in regard to the collection for the holy ones, you also should do as I ordered the Churches of Galatia. On the first day of the week each of you should set aside and save whatever he can afford, so that collections will not be going on when I come. And when I arrive, I shall send those whom you have approved with letters of recommendation to take your gracious gift to Jerusalem (I Corinthians 16:1-4). We cannot sit idly by while so many people are suffering from lack of food, shelter, medical care, etc., etc., etc. We must do our part to help them and our contribution to Peter's Pence is a way to meet the duty given us in baptism. All of these are worthy and important needs and the offerings made to Peter’s Pence give the Successor of Saint Peter the funds needed to help support such valuable work. the most characteristic expression of the participation of all the faithful in the Bishop of Rome’s charitable initiatives in favour of the universal Church. The gesture has not only a practical value, but also a strong symbolic one, as a sign of communion with the Pope and attention to the needs of one’s brothers; and therefore your service possesses a refined ecclesial character. 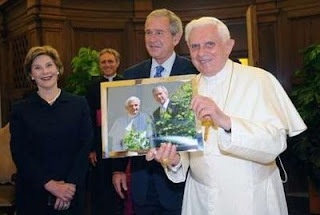 In his Encyclical Deus caritas est, Pope Benedict XVI reminded us that "the Church can never be exempted from practising charity as an organized activity of believers and, on the other hand, there will never be a situation where the charity of each individual Christian is unnecessary, because in addition to justice man needs, and will always need, love” (29). You may also donate online with your credit card.Please be generous for every gift of any size is valuable; simply remember the widow's mite (cf. Mark 12:41-44 and Luke 21:1-4). Pope Benedict XVI, Address to the Members of the Circle of St. Peter, 25 February 2006. I always get a little excited about wearing red on the feasts of martyrs and yesterday morning I was almost giddy about wearing red for today's patronal feast of my parish. It was not until halfway through the afternoon yesterday that I realized that we don't, in fact, wear red on the Solemnity of the Nativity of Saint John the Baptist, but white. This set me pondering the reason for this. Typically, of course, we celebrate the dies natali of a saint, the day on which they enteral everlasting life, more commonly called the day we died. Using this logic we would wear red for Saint John the Baptist who suffered the martyr's death. However, today we celebrate the birth of the Forerunner of the Lord, and not his death; thus, we wear white. But why? I cannot help but wonder if we wear white because John came as "a light to the nations" (Isaiah 49:6). It is as though, as the Fathers so often spoke of the Church, that John reflects the coming Light of the World as the moon reflects the light of the sun (John 8:12). The true stars of our life are the people who have lived good lives. They are lights of hope. Certainly, Jesus Christ is the true light, the sun that has risen above all the shadows of history. But to reach him we also need lights close by—people who shine with his light and so guide us along our way (49). The Holy Father then reflects on Mary, the Star of the Sea, but I think the same could well be applied to the Baptizer. John is the light that always shines on Christ, and for this reason we wear white on this, his Solemnity. Both Matthew and Mark explicitly say that John the Baptist “wore clothing made of camel’s hair and had a leather belt around his waist” (Matthew 3:4; Mark 1:6). If both Evangelists make explicit reference to John’s clothing there must be something significant about it; but what? Go, intercept the messengers of Samaria’s king, and ask them, ‘Is it because there is no God in Israel that you are going to inquire of Baalzebub, the god of Ekron?’ For this, the Lord says: ‘You shall not leave the bed upon which you lie; instead, you shall die’” (II Kings 1:3-4). Hearing these words, the king’s messengers returned to him. King Ahaziah asked them, “What was the man like who came up to you and said these things to you” (II Kings 1:7). “‘Wearing a hairy garment,’ they replied, ‘with a leather girdle about his loins’” (II Kings 1:8). Hearing this description, the king knew at once the name of this name and cried out, “It is Elijah the Tishbite” (II Kings 1:8)! By donning a garment made of camel’s hair and securing it with a belt of leather, John the Baptist demonstrated in a clear way his prophetic calling. We learn through the prophet Zechariah that this form of dress was customary for the prophets: “On that day, every prophet shall be ashamed to prophesy his vision, neither shall he assume the hairy mantle: (Zechariah 13:4). But more than this, John showed through the use of his clothing, that he was Elijah. You are destined, it is written, in time to come to put an end to wrath before the day of the Lord, to turn back the hearts of fathers toward their sons, and to re-establish the tribes of Jacob. Blessed is he who shall have seen you before he dies, O Elijah, enveloped in the whirlwind (Sirach 48:10-12)! Lo, I will send you Elijah, the prophet, before the day of the Lord comes, the great and terrible day, to turn the hearts of the fathers to their children, and the hearts of the children to their fathers, lest I come and strike the land with doom (Malachi 3:24). All the prophets and the law prophesied up to the time of John. And if you are willing to accept it, he is Elijah, the one who is to come. Whoever has ears ought to hear (Matthew 11:13-15). Saint John Chrysostom, The Gospel of Matthew, Homily 10.4. Great River Teens Encounter Christ is hosting a t-shirt design contest. If you've made a Great River TEC, why not design a shirt? They are also looking for sponsors for the back of the shirts. I'm very happy to say that I will be the spiritual director for the TEC weekend held October 4-6, 2008. If any of my blog readers are interested in making a TEC retreat, contact me and we'll chat. Friday I went to St. Louis to visit with two high school friends and their spouses. We went to the zoo (which I remember being much larger), to the arch and out to dinner at a nice Italian restaurant which had delicious appetizers. Saturday morning I returned to Effingham, after getting lost a few times on my way to drop off one of my friends to meet his wife who went to visit a friend of theirs and after stopping at one of the religious goods stores. Consequently, I was only able to jot down a few ideas for my homily on paper, which seemed to hit home for a few people. I'm going to try to make more sense of it in a concrete manner for you. I spent yesterday afternoon tidying up my office, library and suite in preparation for next week's departure; I hate returning to an unkempt mess. Today I've been preparing for a class that I will teach tomorrow evening on St. John the Baptist at our mission parish (if you're in the area and are free tomorrow at 7:00 p.m., come on out!). This afternoon I penned another Letter to the Editor, this one reminding voters about the essential and primary "issues." I'll post it once it's published. I've just returned from a pickup soccer game which didn't go very well. The team we played was simply much better than us. Nevertheless, the kids seemed to keep their spirits and played well, with a couple of goof ups here and here which provided a strange moment of laughter. The more I read St. Thomas More the more impressed I am by him and his thoughts, and the deeper my devotion to him grows. The Most Rev. Michael A. Saltarelli, Bishop of the Diocese of Wilmington (don't confuse him with Bishop Serratelli of the Diocese of Patterson, which I at first did), has given us a Litany of St. Thomas More. Monday morning William Bence - of the WCRA Morning Show - and I will discuss the upcoming World Youth Day 2008 in Sydney, Australia at 7:40 a.m. on FM 107.4, and AM 1090. This will be my last appearance on the show until the second Monday of August. If you're looking for a book for daily prayer for next year, let me recommend Daily Prayer 2009, published by Liturgy Training Publications. DP 2009 roughly follows the order of the Liturgy of the Hours and includes an antiphon, Psalm, reading, reflection, intercessions and prayer for each day of the year. The reading comes from the readings for the Mass of the day. Each reflection is brief and can help with homily preparation or reflections for the RCIA. The intercessions could easily be used at daily Mass. LTP approached me and invited me to be involved in this project. It was my pleasure to author the reflections for the seasons of Advent, Christmas and Lent. I'm pleased to say that DP 2009 is now available. N.B. : I have already received compensation for my work. This plug will not profit me financially in any way. Season Two of That Catholic Show is on the way! Wahoo! You may recall a post some weeks back in which I commented on Francis X. Gumerlock's article, "The Interpretation of Tongues in the Middle Ages." In my comments I wondered how the gift of tongues was understood by the Church Fathers. Dr. Gumerlock kindly sent me his article, "Tongues in the Church Fathers," published in Reformation and Revival Journal 13:4 (Fall 2004): 123-38. The style and argumentation of the article is not the same - as might be expected - as his article concerning the Middle Ages. This article is more of a compilation of quotations from nineteen Church Fathers, several of whom I had never heard. Dr. Gumerlock again reminds us that "one of the most common minsunderstandings about the gift of tongues is that the miracle is an ability to speak a prayer language of which only God knows the meaning." cannot refer to the gift of tongues because the passage speaks of unutterable (alaletois) groanings, or groanings which the KJV says "cannot be uttered." Furthermore, when I Corinthians 14:2 is interpreted in the context of its chapter, it yeilds a completely opposite meaning than that of unintelligible sppech. Paul's whole argument is that tongues were not a means for private edification, but a gift to be used for communicating doctrinal content to others. What, then, is the gift of tongues if not some unintelligible language? When looking at the Scriptures we see that the gift of tongues is, as Dr. Gumerlock puts it, "a supernatural deposit into the mind of the recipient of a human language or languages that the recipient had not previously learned in the natural manner such as through enculturation or study." This is clear enough in Acts 2:8-11.
the earliest Pentecostals at the beginning of the twentieth century believed that the gift [of tongues] involved intelligible languages such as Chinese and Hindi. However, when the discovered that Chinese and Indian people could not understand the "tongues," they by necessity had to change their understanding of the gift to unintelligible speech. From here, Dr. Gumerlock offers a series of passages culled from the Patristic authors relating to the gift of tongue. He concludes the article, saying, "In harmony with Scripture, the earliest interpreters of the New Testament understood the gift of tongues as a supernatural enablement to intelligibly speak another human language." Quincy, Illinois has been in the news lately, but not for reasons I would prefer. Matt Lauer of the Today Show interviewed Quincy mayor, John Spring. Al Roker is in the Gem City and walked on one of the two bridges spanning the Mississippi River at Quincy. He also interviewed Rose Doran. This is too much like 1993. Amy Welborn has done it again and has given us a piercingly insightful reflection on what she wants for teens. The past couple of days people in Effingham have noticed some men at the top of our steeple. They are here putting lightning rods on the church, per insurance agents. Kenda has posted pictures taken from her porch. I'm sorry for the quiet past two days. Monday I simply didn't have anything to post and yesterday I made the - brief - drive to Chicago and back. In a fortnight I will be on the great island of Oahu, where I will be for four days before leaving Honolulu for Sydney, Australia for the World Youth Day 2008. You can well imagine what I'm too these days! I spent Monday packing my bags for the thirty-one day that I will embark upon (seven of those days will be on my own, one to prepare and six to recover and recuperate). I've upacked and repacked my bags today - and I'll do so a few more times over the next few days - and I'm very happy to say at that this point it looks as though I'll be able to fit everything I'll need in one bag to be checked and two bags to be carried onboard (one of which will be the "Mass kit"). I'm still trying to decide what to do about my vestments; I may very well put them in a light and handy travel bag from Barbiconi's in Rome and have one of the students carry them onboard. Yesterday I took one of our recent high graduates for a quick trip to the House of Hansen in Chicago to have him fitted for a cassock. I placed an order for a surplice and a new winter cloak (this one will go all the to my ankles). This young man will be entering the college seminary in the Fall (more on that come August). Now I'm off to the rectory again to doublecheck supplies and to prepare the Mass kit. I'll blog more later today. It's a good thing things slow down in the summer! After last year's senior class retreat, I drove two of the seniors back to Effingham to prepare for the arrival of the rest of the class. One the way back, I looked off to the right of the highway and saw what I didn't expect to see: several buffalo grazing in a field. Me: N., were those buffalo? N.: I think so. They're kinda of like unicorns; you don't see them very often. I responded with a confused look, thereby ending that odd and brief conversation. It now seems, though, that this student may well have been right. 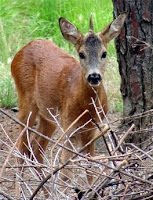 A one-horned deer is wandering around in northern Italy; apparently he isn't the first of his kind, though they are rare. This seems like a good night to watch that animated classic, The Last Unicorn. This past Friday Holy Mother Church celebrated the life of one of her illustrious sons and our heavenly patron: Saint Anthony of Padua. Born in Lisbon, Portugal and given the name Ferdinand at his baptism, this son of Martin Alphonse de’ Buglioni and his wife, Mary, heard the call of the Lord to enter his harvest as a laborer and a shepherd (cf. Matthew 9:38, 35). At the age of fifteen, Ferdinand sought to withdraw from the world and entered the Order of Saint Augustine as a member of the Canons Regular of St. Vincent Monastery near his home. But as he endeavored to grow in prayer and deepen his already vast learning, the man of God was continually interrupted by constant visitors and friends. Desiring a more peaceful life, he received permission to transfer to the monastery of the Holy Cross in Coimbra. He always cultivated his innate talents with special eagerness and exercised his mind with meditation. Day and night, whenever the occasion arose, he would not neglect to read the Scriptures. It was there that his life would change forever. It happened that five brothers of the Order of Friars Minor, the new Order founded by Saint Francis of Assisi, received the grace of martyrdom in Morocco on 16 January 1220. Ferdinand was profoundly moved when the bodies of these first Franciscan martyrs were brought to his monastery. If only the Most High would deign to make me share in the crown of his holy martyrs! If only the executioner’s sword would strike me as I, on bended knee, offer him my neck for the name of Jesus! Will I see this come about? Will I reach that moment of great joy? In the end, he did not receive the martyr’s death, but he most certainly did reach “that moment of great joy,” and it all begin here, in his willingness to give himself entirely to the Lord. Being so moved by the witness of these sons of Saint Francis, Ferdinand requested permission to join the Order of Friars Minor. When he received the Franciscan habit, Ferdinand took the name, Anthony, which means “high sounding.” The friars who welcomed him into the Order said to him, “Go, go, because now you will be a saint!” Truer words were never spoken. On 13 June 1231, after singing the hymn O Glorious Virgin, Saint Anthony lay on his deathbed with his eyes transfixed on a certain spot in the air. When asked what he saw, he said, “I see my Lord.” He died shortly thereafter. Where are you going, father, to return no more? … Where are you going without your children, O venerable father? Who else will be found like you, a true herald of God’s word to us, your orphans? Through the Gospel, you begot us in Christ Jesus. Yes, who indeed will be a true herald of the Gospel for us as Saint Anthony? Today these words of Jesus ring ever more true: “The harvest is abundant but the laborers are few; so ask the master of the harvest to send out laborers for his harvest” (Matthew 9:37). The harvest indeed is abundant, but where are the harvesters? Very often today – too often perhaps – we hear talk of a so-called “vocations shortage.” From my ministry across the Diocese and from young men who visit my web sites, I am confident that there is not so much a vocations shortage as there is a shortage of young men who are responding to the call of the Lord. Many young men today – even some among us now - hear the call of the Lord resounding in their hearts. Why then do not respond more openly and readily? The reason is all too often the same and is a very sad answer. Very often no one has encouraged them to consider serving the Lord as a priest; no one has told them they would make a good priest. When the Lord call the question why he would call them. They think themselves unworthy of his service and, indeed, they are unworthy of it; but that is the marvel of the call of the Lord. Looking at the Twelve Apostles, we see that the Lord chose fishermen, a tax collector, an instigator of violence and rebellion, one who would betray him, and even one who would doubt his Resurrection to carry on his ministry in his name. The Lord did not choose the Apostles because they were holy; he chose them to make them holy. The Lord chooses sinful men to go labor in his harvest and through them he manifests his love and his glory. As I discerned the Lord’s call for my life, I, too, often wondered why the Lord chose me. There is nothing extraordinary about me, nothing so unique. I am a man who prefers the quiet of a library to the bustle of large groups of people. Being an introvert I seem a strange choice for such an extroverted ministry. Yet the Lord chose me. My life differs from that of others only in that it has been marked with much suffering. Yet even in this I am not alone. Who of us does not suffer in some way? A suffering that is bearable for one is completely unbearable for another. There is nothing too different about me; I am a man like all others. Why should the Lord choose me? I was discussing this one day with a friend who responded with a question of three simple words: Why not you? I had no answer and knew that this was the Lord’s will for me life. Let us return to St. Anthony. We see in his life that the gift he wanted to give to the Lord was not the gift that the Lord asked of him. The Lord did not want the use of Anthony’s blood, but of his tongue. Through this powerful words Anthony moved the hearts of men and women throughout Europe to return to the Lord. It is the same with many of us: the gift we first want to give to the Lord is not the gift he asks of us. We, like St. Anthony, must beg the Lord to reveal to us that gift that he asks. We also see that the Lord did not call St. Anthony to a mission that he was incapable of fulfilling or achieving. Rather, the Lord called St. Anthony because of the gifts and talents he already possessed. In the monastery he was able to develop and hone his innate abilities and so become the man he was born to be. It is the same with each of us: the Lord does not call us to something of which we are incapable. Rather, he calls us to that way of life for which we were each made, so that we, like St. Anthony, might develop fully the gifts we have been given. Only in this way will we achieve our potential – the tasks for which we were born – and so come to find true and lasting joy and peace. Each of us must do all that we can to help young men heed the call of the Lord and answer it with generous hearts. Yes, O blessed Anthony, who indeed will be found like you? Who will be found a true herald of God’s word for us? Yes, Lord, send forth laborers into your harvest! Amen! Life of Saint Anthony, ed. Vergilio Gamboso and trans. Bernard Przewozny (Padua, Italy: Messagero di Sant’ Antonio), 4.3. Pope Benedict XVI, Responses to Questions posed by the American Bishops, 16 April 2008.
you nursed your Creator as your very own child. you have restored through the fruit of your womb, Jesus. who cry out from here below. through you shone the Light of our Salvation, Jesus Christ, our Lord. for Jesus, our life, given through the Virgin Mary. to the Father and the Life-Giving Spirit, for age upon age unending. Amen. The Quincy Herald-Whig has set up a web site for the flood of 2008. 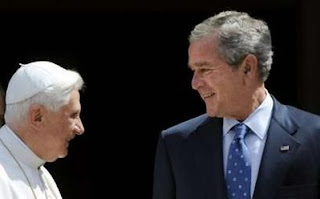 When Pope Benedict XVI visited these shores not too long ago, the welcome he received from the American people throughout his five-day visit was exceptionally enthusiastic, to say the least. It was evident to everyone - from the moment he stepped out of the plane - that the Holy Father was very pleased and energized at his welcome. It almost seemed as though he never stopped smiling! The great flood of 1993 was - if memory serves - the largest flooding of the Mississippi River in recorded history. The mighty waters devasted the surrounding countryside for miles in every direction, overtaking levees, bridges, houses and fields. Now it seems the river is ready to flood again, only fifteen years later. Locks and dams on the river have been closed between Fulton, Illinois and Clarksville, Missouri. The City of Quincy has declared a "state of emergency" and Adams county has declared a "state of disaster." Quincyans have begun sand bagging (between 6:00 a.m. and 7:30 this morning 1,200 bags had been filled) and Memorial Bridge, which crosses the Mississippi into Missouri, is expected to be shut down today. Governor Blagojevich will arrive in Quincy this afternoon to inspect the area and make his decision on State action. The river is expected to crest today at 29.2 feet; the record level in 1993 was 32 feet. The waters are expected to reach 30.2 feet by Wednesday. And the rain only seem to keep coming. Throughout his life, Saint Bonaventure was a busy man, what with over-seeing a divided order, teaching, preaching, and composing prayers. No small number of readers are finding there way to this blog today searching for information on Saint Anthony of Padua. You can the homily I preached last year at the Liturgical Institute on his feast day here. You might also be interested in the homily I preached this year on Corpus Christi about the miracle of the Eucharist and the donkey. When first I read this, my initial thought was that “fake instruments” are forbidden, but I couldn’t call to mind any specific document where this is so. Consequently, I set to work. There is a liturgical principle that we only use in worship what is authentic and truly worthy of the Lord. Recorded music lacks the authenticity provided by a living liturgical assembly gathered for the Sacred Liturgy. While recorded music might be used advantageously outside the Liturgy as an aid in the teaching of new music, it should not, as a general norm, be used within the Liturgy (91). Immediately following, the Committee gives a couple of exceptions to this norm: outdoor processions, Masses with children (when “used carefully”), and communal penance services. Very often, such “fake instruments” are recorded and played while the accompanist plays the “electronic keyboard” as a separate instrument. 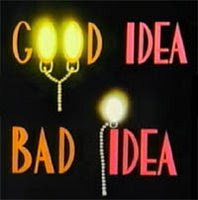 This would is forbidden, at least in the Diocese of the United States of America (save those few exceptions). Though I’ve not been able to locate it, it still seems to me that there is a similar – and perhaps stronger – prohibition on recorded music – and, I believe, “fake instruments” – in a magisterial document. Can one of our astute readers offer help here? Molly, the Pastor’s dog is acting strangely this evening, almost as though a storm were coming. She doesn’t want to be left alone and is lying next to my chair; I’m lying on the couch, listening to an orchestra on PBS. I’m not aware of any storms in the forecast and although I am tired already this evening, this has more to do with rising at 5:00 a.m. than with weather patterns. I think. As the World Youth Day 2008 pilgrimage draws steadily nearer, preparations for the pilgrimage growing steadily more important. Monday evening I went to visit with a leader of the other group that we will be joining for the pilgrimage. We met to work out finances and to sort through which group has paid which expenses and what not. It was a good evening and together we were able to answer a lot of questions. This afternoon I met with half of my pilgrims to discuss the ever-important question: What do we do when we get angry at each other. This will inevitably happen as we’ll be together for some twenty-two days. The discussion was good, but it didn’t quite go where I hoped it would; you can’t force a conversation with high schoolers. Tomorrow I will be going to Ashland to meet with the other priest that we’ll be with. He and I intend to do a lot of work on the itinerary and details relating to it. I’ll be spending the night in Ashland and rising very early on Friday morning to return to Effingham in time for Mass at 8:30, followed immediately by a meeting, the topic of which I do not know. Friday afternoon will be filled with soccer games and in the evening the parish will celebrate its titular feast with a special Mass followed by a dinner. The next couple of days will be very enjoyable, but will also be a lot of work and rather draining. I’m feeling more tired simply thinking about them. But for the time being I must wait for the Pastor’s return – I’ve no idea where he’s gone – so Molly will not wake me when he returns. ... a seminary faces a possible closure. Yesterday evening my friend Rob - who popped in for a visit on Saturday - called to say that he couldn't find his cell phone and thought he must have left it in the rectory. When I returned to Effingham, I scoured the house and couldn't find his phone, so he I whispered a prayer to St. Anthony of the Padua, the Finder of Lost Things. Hey man…. Sorry fell asleep last night…. Cath found the phone late last night… it was in her jacket… no idea how…. I know how the phone came to be in her jacket. There is on Facebook.com an application called "Compare People" by which users can compare their friends in a number of various categories. To be sure, it is a mostly silly and meaningless enterprise, but it can give insights into various personalities by viewing how a number of people "rate" them. most studious (I like this one). I was struck not so much at the positive characteristics I was judged to possess, but by what passed for negative characteristics: loyalty and punctuality. These can only be seen as negative qualities by a society which places a great emphasis on the individual and personal "freedom," and very little emphasis on respect of other people and the common good. It is a very sad society indeed where loyalty is undervalued and seen as a quality not worth possessing. A society that does not value loyalty and honor cannot long survive. I've often wondered if I wasn't born a century too late and an ocean away from where I truly seem to fit; this only seems to confirm this suspicion. N.B. : There is an excellent - and lengthy - article on loyalty here. A representative for a Diocese on the East coast called to ask if I might be interested in serving as the Director of the Office for Worship for this particular Diocese. A priest-friend of mine suggested my name to them. I never can quite be sure what each phone call will bring, but this one doesn't bring a change. The more I read of Christoph Cardinal Schoenborn, the more I like him. Last week I finished reading his With Jesus Every Day: How Believing Transforms Living. This book is a convincingly refreshing treament of Christain morality, written both simply and insightfully. I would recommend it for private reading, a reading group, or for RCIA style groups. Each chapter is brief (no more than twenty pages), but provides plenty of food for thought, reflection and discussion. His Emminence uses both his own personal experience and the writings of the Saints. 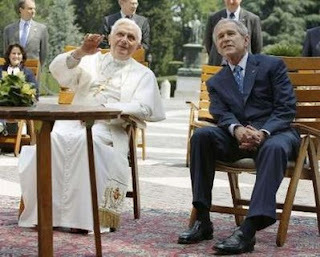 He also frequently references the Cathechism of the Catholic Church. In short, this is a book that everyone ought to have on their shelves. The more unexpected the guest, the greater the welcome. I returned to Effingham yesterday morning from Springfield to sort through a week's worth of mail (it's amazing how much of it is junk) and work on a homily (which wasn't quite accomplished). Midafternoon I took a phone call downstairs in the rectory. At the end of the call I heard a quiet "tap, tap, tap" on the breeze way door that connects to the backyard and the church. We only rarely have visitors to the front door of the rectory (they go to the office now) and we never have visitors to the backdoor. There was a wedding in the parish yesterday afternoon so I presumed the knocker was a member of the wedding party. I was rather surprised, then, when I saw the man who knocked was in a t-shirt and gym shorts. He was on his way out but turned when he heard me and my astonishment and joy couldn't be contained. I'm told that the expression on my face was "priceless." It was Rob. We were roommates in college and I sponsored him through the RCIA. He lives outside of Nashville now and has moved around quite a bit in the past few years. Neither he nor I are the best of keeping in contact so we don't see each other too often. I spent a day or so with him a couple of years ago, but that was the last time we saw each other. We do speak on the phone occassionally, and I hope to make this more frequent now. It was so good to see him! He and his wife and their three children (the oldest of whom is five and remembered me from my last visit) were in Chicago this past week for a wedding. When they realized that Effingham was only forty minutes off their route home, they decided to pop into the parish and pay a visit. Rob sent me an e-mail on the road to ask for my cell phone number (he seems to change his cell phone as often as he changes his e-mail address and didn't have my number in his phone). I had just left the parish to visit with a priest in a neighboring town and missed his e-mail. As it happened, Rob knocked on the door at just the right moment; fifteen seconds later and I would have been back upstairs where I wouldn't have heard the known (nor would I have heard the doorbell). I count it a gift of Divine Providence. After visiting with them for a bit (which I was why no homily was prepared and typed this weekend), I had Mass yesterday evening at our mission parish so they went to Mass there. Afterwards we paid a visit through the drivethrough of Culver's and returned home to the rectory, staying up later than we should have, but it was well worth it. Sadly, they had to get back on the road this morning. I hope they pop in unannounced again! I spent the afternoon today on Lake Springfield with two friends. It's a thoroughly beautiful day here in the See City. We returned a short while ago and now I'm going to prepare dinner for a couple of other friends (the two I was with this afternoon won't like this dish). The dish that I am making is one of my favorites, though I try to avoid it in Lent because I enjoy it too much. It's also very easy (I stole it from Mr. Food). Combine everything save the pasta and mix it together as the pasta is cooking. Once the pasta is ready, drain it and combine with the mixture. Stir it up and eat it right away. It couldn't be simpler! After dinner, the friends I've cooked for and I will meet up with the friends I was with this afternoon (and a couple others, too) for an evening on the lake. Sr. Mary Martha has a good post reflecting on humility and doormats. Fr. Dwight Longenecker has good insights into the necessity of dogma. He also describes a conversation had with his youth about kneeling to receive Holy Communion. A Catholic Mom in Hawaii tagged me for the Ten People You'd Like to Spend Ten Minutes With meme (possibly the meme longest name). I've not put Jesus on the list, becuase he is the obvious first choice and I have included those who have died in light on the communion of saints. Fr. David Simonetti, a classmate of mine and a priest of the Archdiocese of Chicago, will appear on EWTN Live with Fr. Mitch Pacwa, S.J. Wednesday, June 4th, at 8:oo p.m. EST/7:00 p.m. CT. It's been a few days since last I posted and I have no real excuse for it save laziness. I'm now in Springfield where I'm spending the week with a few friends that I used to spend significant portions of the summer with. It's good to be with them again, simply chatting and laughing the evenings away. Originally I was to be on retreat this week, but plans changed with good cause which need not be explained here and I decided to keep the week away from the parish. Being away from the parish is proving to be useful both for resting and for catching up on reading. Yesterday on my way into Springfield I stopped in at Barnes & Noble - which is always a risky affair - and picked up two books on Oahu (so I can prepare plans for the WYD pilgrims), two books on soccer (so I can be a useful coach this fall) and a one-volume collection of the Lord of the Rings (so I'll have something to read over the coarse of the WYD pilgrimage; I'll be a couple of books by the Holy Father, too, and the writings of St. Francis of Assisi). I've already finished one book on Oahu and I finished a book of sermons of St. Bonaventure on Jesus. We'll see what I finish tomorrow. One month from today my pilgrim group leaves for World Youth Day 2008, and I'm really beginning to get excited. Packing plans are under consideration (I've already tried several packing methods) and I'm looking into the locations of parish churches and other such sites. This evening much of central Illinois is under a series of tornado and severe thunderstorm watchs, both of which bring me great pleasure. I've just spent the past four hours with a few good friends sitting outside listening to the booms of thunder and the patter of rain (as only the midwest can produce) and watching the brilliant streaks of lightning across the sky. I'll try to keep posting throughout the next couple of days, but we'll see if anything particuarly interesting happens. I forgot to post last weekend's homily before I left; I didn't bring that file with me, so I'll have to post it on my return to the parish sometime Friday or Saturday.